Take pictures worth 1,000 likes with the perfect social media accessory. 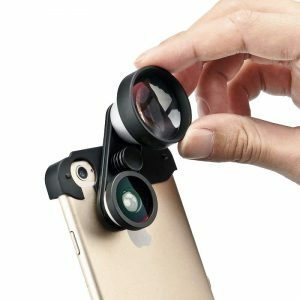 The amazing 4-in-1 Rapid Rotating Multi-Lens Kit iPhone 6 6s Plus delivers the most versatile and premium mobile lens experience in a compact, easy-to-use design. It features four advanced optic rapid rotating lenses (Selfie Fisheye, Landscape Fisheye, Wide-Angle, Macro) that weigh in at less than an ounce. 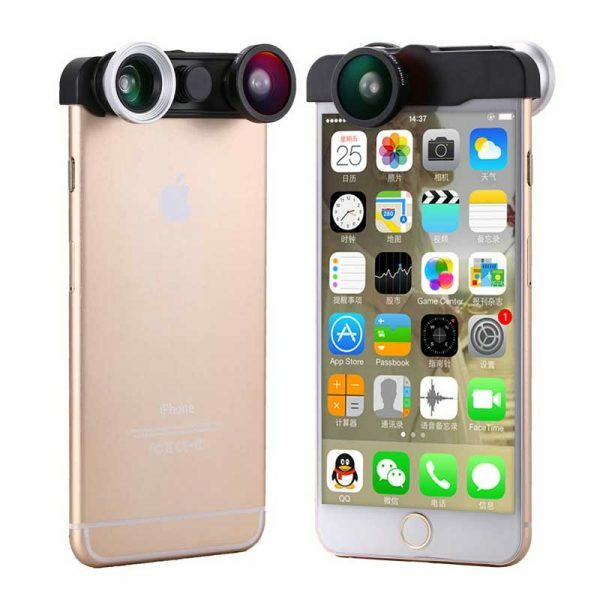 The 4-in-1 Rapid Rotating Multi-Lens Kit iPhone 6 6s Plus enhances your field-of-view beyond iPhone’s built-in camera. 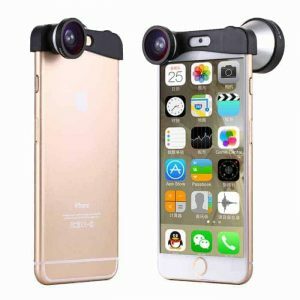 The Fisheye and Wide-Angle lenses enable you to capture more – ideal for photographing panoramic landscapes or a snapping a selfie with a group of friends. Access the Macro lenses by unscrewing the Fisheye and Wide-Angle lenses to photograph crisp close-ups and get detail-oriented beyond the naked eye. So far so good, easy to setup and helps visually improve your videos and pictures. Used them on my i6+ and they work fine. The cap mount dsnt give any scratches to the phone. I really liked the fish eye lenses which produce great results. The quality is excellent, I couldn’t be more pleased. I definitely recommend this site and their product. Cheaper than Olloclip and it’s actually really cool. To be fair I only had chance to mess with the macro but they have turned out some pretty cool photos. Not a fan of how the edges come on the wide and fisheye but from what I understand this happens to evenall high end wide/fisheye lenses. I was lucky to get this 4-in-1 lens kit before the stock ran out! It is the best bang for your buck. 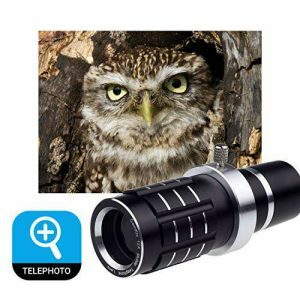 You get a wide angle lens, a fisheye lens for front cam and a fisheye for back cam too and when you unscrew the wide lens you get a fantastic 15x macro lens. The macro lens happens to be my favorite as it is nearly impossible to get a macro shot on an iPhone without the aid of an external lens or so much digital zoom that the photo is pixelated. This lens produces great macro shots. Fits and functions perfectly. 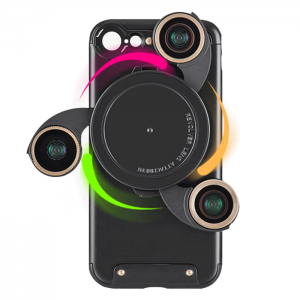 The only problem is that you have to take the phone out of the case in order to attach the lens. If you do not mind doing that, the lens is well worth it. This is the best budget option available for Iphone 6 Plus. You will need to experiment and learn how to use the different lens like Fish-eye and wide angle. 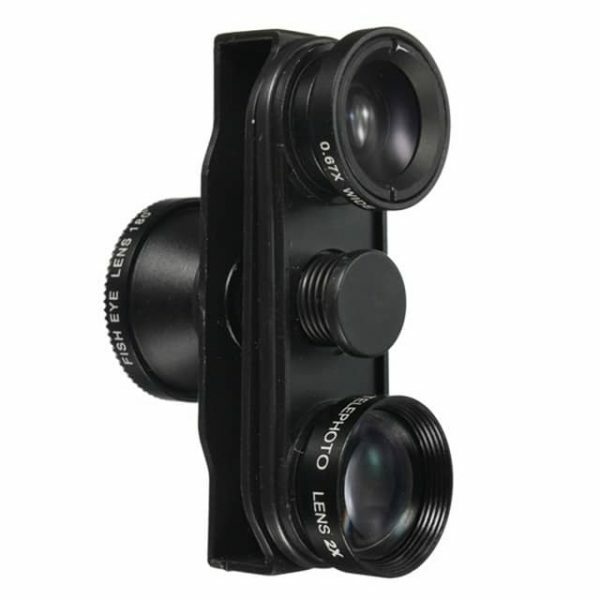 It works smoothly, easy to place camera. Good shooting! What a fantastic buy, highly recommended….What a neat add on for my phone! My wife got me this because according to her I’m a camera phone noob! I love this lens kit! 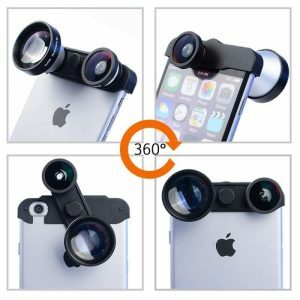 Easy to use and fun to try the different lens options. What can I say, We both love it! Very happy with the lens kit. I am starting photography with my new iphone 6 plus so I needed a low cost lens kit to experiment. 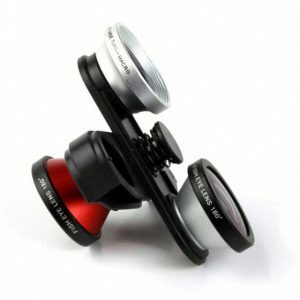 Great lens kit for beginners like me to add more fun and looks to be made of good quality. The product met every expectation for my son. He began exploring its options immediately and my other child couldnt wait to get her turn using it. Very satisfied. Works well and adds great depth to the camera aspect of my iPhone but you can not use it with a screen protector. The lens also is very secure on the phone. I do bring it with me on my outings and have taken some wonderful shots with this lens that I otherwise could not have. Love what this lens does. It makes my weekly vlogs and social media posts so much better. The build quality is good and it was well worth the price. I love the fisheye look and the wide angle really helps with my iphone’s narrow field of view. I would give it 5 stars except for 1 minor annoyance. 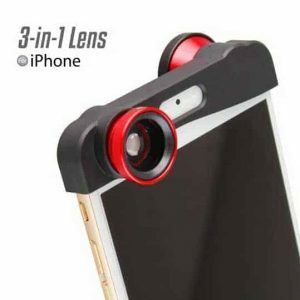 The lens blocks the microphone on the back camera and creates lower volume audio while recording videos. Again, minor issue. 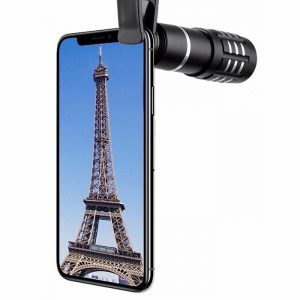 Overall a great product that I would recommend! Excellent arrived extremely quickly and is and excellent idea. Bought these lenses as i have grown an interest in photography. The lenses work very well. Very happy with purchase. Yes it does make the picture round but they come out clear and its easy to use. 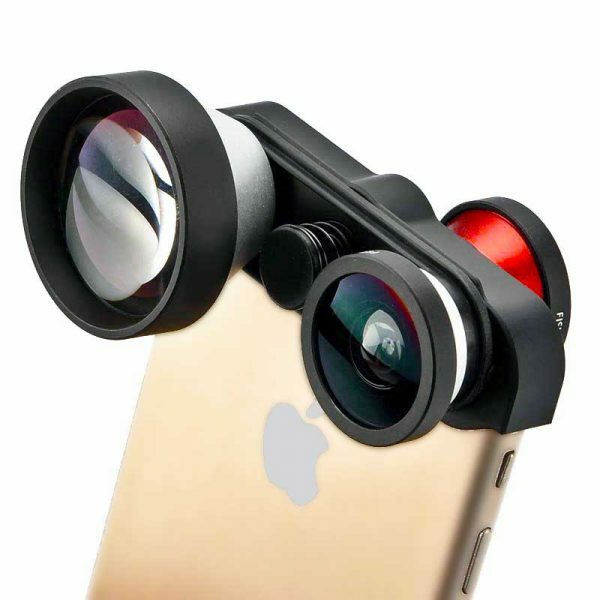 I use it with my iphone 6 with ease. Great value for money.